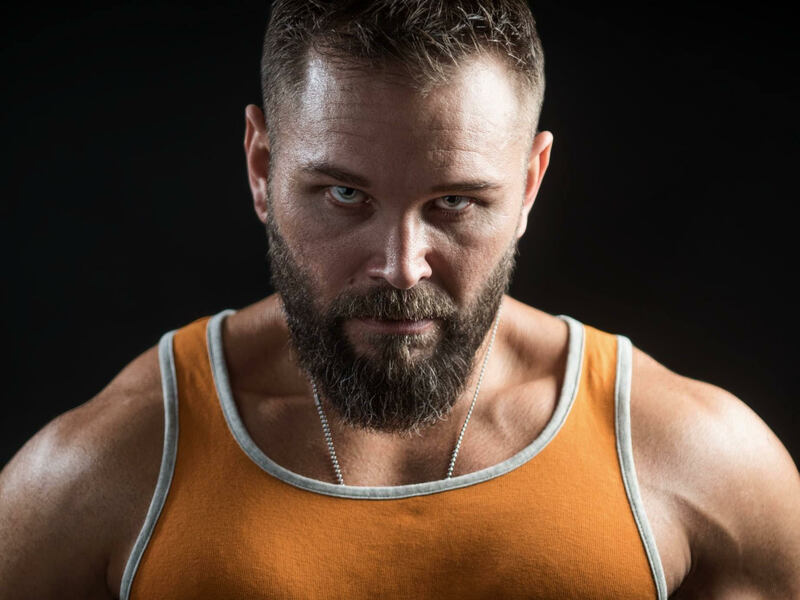 Daniel Stisen is a bodybuilder and an actor who is producing his own action films. In the interview, he reveals about his successful mentality which inspiration he got from well known Arnold Schwarzenegger, Daniel was even at Arnold Schwarzenneger’s own fitness show “Arnold Classic”. Daniel, what are your greatest achievements in bodybuilding? My greatest achievements as Bodybuilder was to win the National Championship both as a Junior and Senior the same year when I was 20 years old, I think, it was one of my biggest moment in life, after years of hard consistent work. Then there was my Comeback in the National Championship in 2013, after quitting competing after injuries in 2009. Other things along the way were other wins as Grand Prix competitions, and competing at Arnold Schwarzenneger’s own fitness show “Arnold Classic”. When I look back, there were things like squatting a World Record in the gym at that time 370kg 21 years old on a bodyweight of 99kg, was something I later see as something of a great achievement. even if it doesn’t account for the official books. I also loved coaching the National Team at the Arnold Classic twice, where the team won many golds medals and was for me a nice experience of setting others as a priority and not yourself, something you are used to as sportsman. I will consider going back and compete as an old veteran once when I have managed to achieve most of my big goals in the film industry. I love setting big goals in life and try to achieve them. How did you connect bodybuilding with acting? One of the greatest things bodybuilding learned me was perfectionism, long-term focus, and consistent hard work, to be good. Plus the Arnold Schwarzenegger mentality, that I studied in my younger years as the bodybuilder. These things had a strong influence on who I’m today. This is some of the most important things I use in the film industry as a producer and also as an actor. Training and reflection make winners. Same Principe in a film. It’s a brutal industry, and its very hard to succeed, so the consistent , when no one believes in you, the stayer will, the repletion of the training of become a good actor, the rejections, until the sun starts to rise, and people start to see you, and suddenly things changes, those you looked up to suddenly come to you, the executives, want meetings with you, awarded film actors and film crew sees you as equal. I think that’s what I’ve used from bodybuilding, the mindset of a bodybuilder, the longterm stayer will, hard work of repetition is what makes me succeeding in the film industry, both as an actor and producer. It’s the greatest skill I have in life, in combination with my good social skills with people. Which were the most significant acting roles in your career? 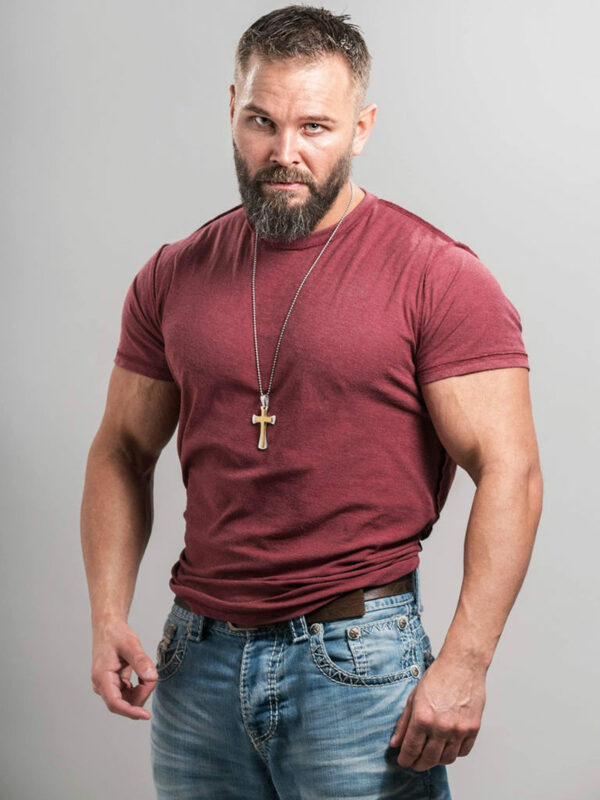 So far my greatest role as actor is the one we will release soon playing the lead role in an action film called Retribution as the Hobo, I’m nominated best actor on several festivals as we speak, lets cross fingers and hope for a win, we have big plans for the Retribution Universe, something I will come back to later. Major Hollywood moves I’ve been in is Justice League, where I was lucky to work with Gal Gadot and director Zack Snyder, Jurassic World, King Arthur, Paddington 2, BBC’s The Hollow Crown, where I worked alongside Benedict Cumberbatch in the battle scenes, BBC’s Shetland among other things. Plus I’m in a cast in ten coming American, British and European moves that are in different stages of development and pre-productions, where I either play the lead, the main villain, or one of the main supporting roles, some of these will be announced over the next half year. You are also involved in very big productions as an executive producer. Can you tell us a little bit about that? When I started to plan my entrance into the movies from the fitness industry, I attacked the same way as I did as a bodybuilder, Longterm, determined, and with a realistic strategy with a big ambition. I fused all my skills, and I found out the best way for me to do this, is to be good, but also make and produce my own films. I knew this was possible, with the network I l already had, and with the skills, I was born with. So I started to build a production system around myself, and this just grows, as people start to believe in me. This put me in a situation where I could pull strings just not for myself, but also for others. That made me in a position as an Executive Producer of movies on the side of the films I’m developing and producing myself thought my own Film Production House. What is your next move in the film industry and what else can we expect from you in the near future? As we speak I’m Co-Executive Producing a coming WW2 Spy Drama called “The Guarding Angel” with a very strong European cast, where I will play the German Nemesis of the film, we are about to cast the British leading roles soon. I’m also Executive Producing another European based period film with some of the biggest continental European stars onboard, that’s not announced in the press yet. Keep your eye up for the release of the Retribution Teaser next month, and the release of the film in a few months, to watch me as a leading action man, in a hard-hitting action-packed role. I like to call myself a Norwegian born Viking on conquest with a big love for the United Kingdom, where I live and its great history, with an Americanised mindset of believing in yourself and to do great things for others and myself.